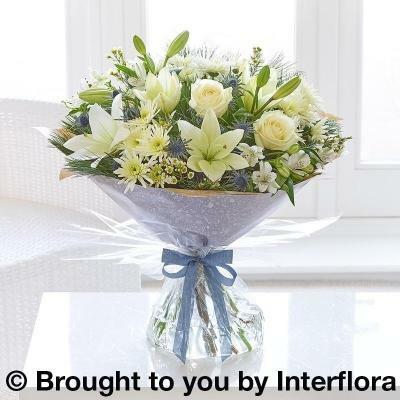 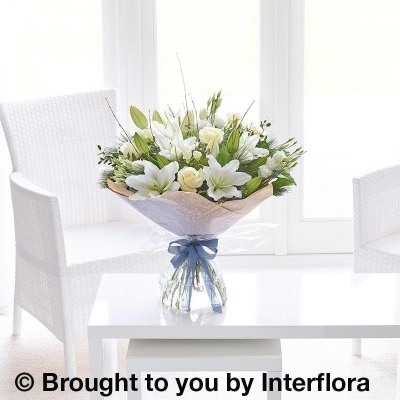 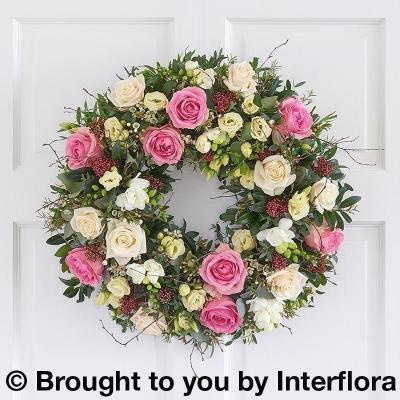 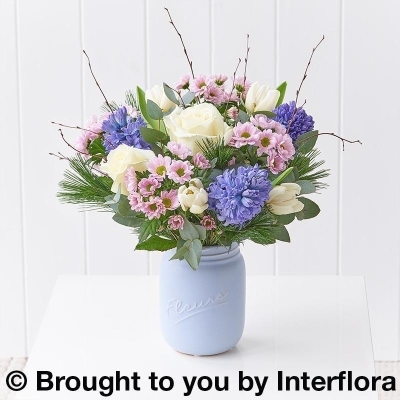 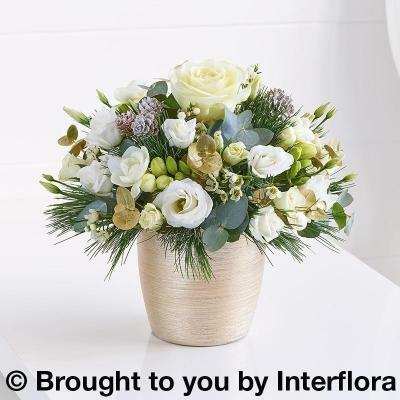 Featuring white large headed roses, pink spray chrysanthemums, blue hyacinths and white tulips with eucalyptus, birch and pine, arranged in a blue ceramic jar. 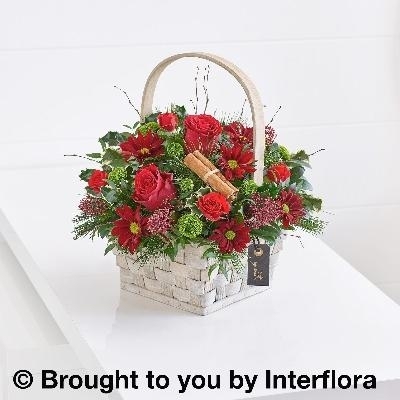 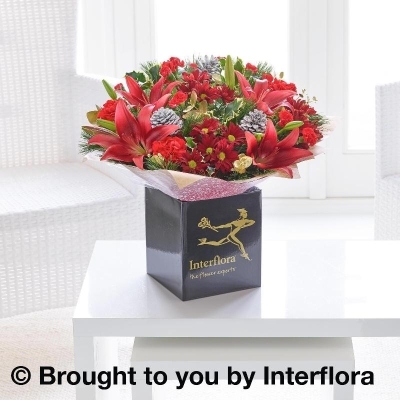 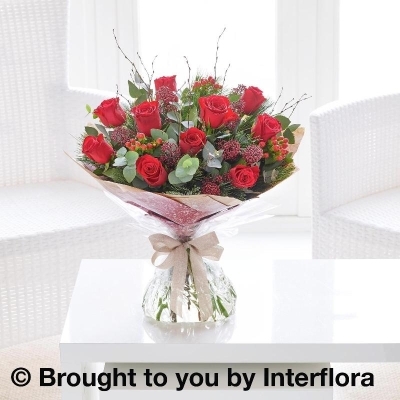 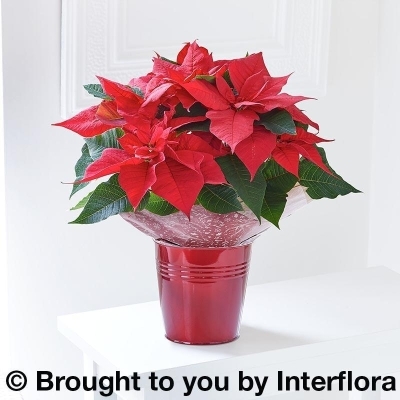 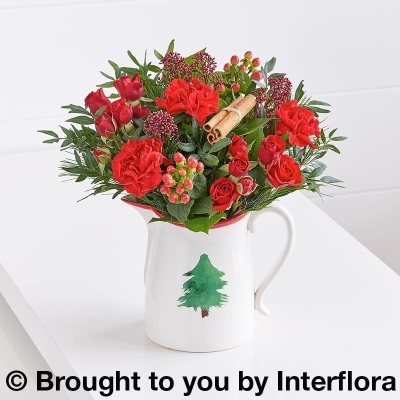 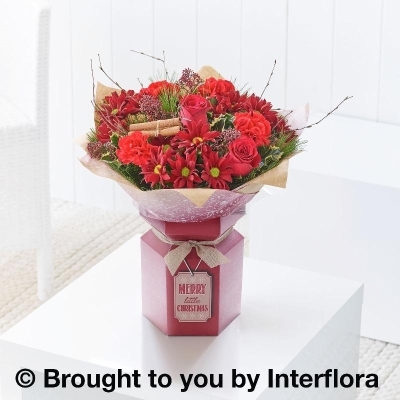 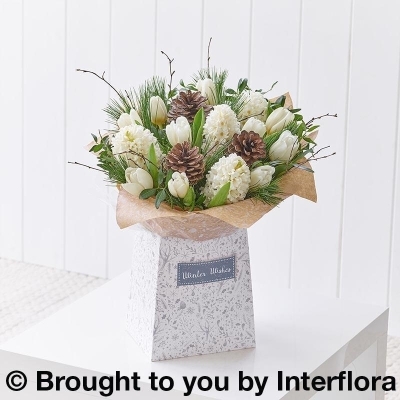 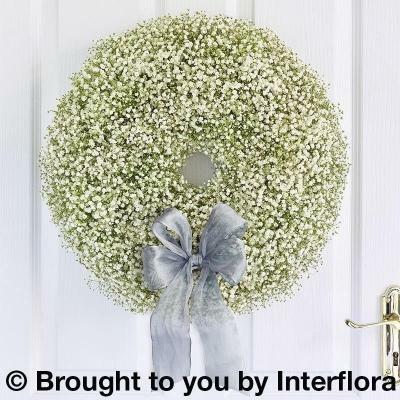 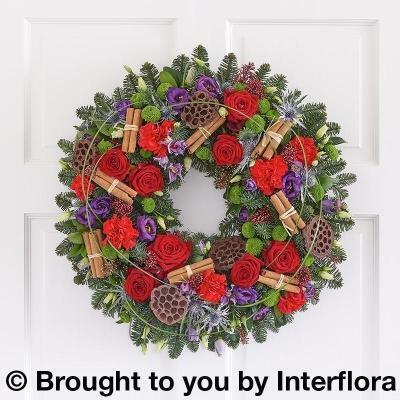 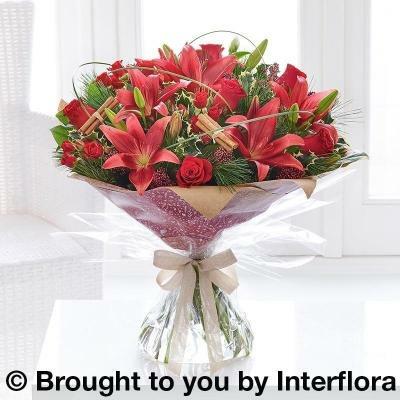 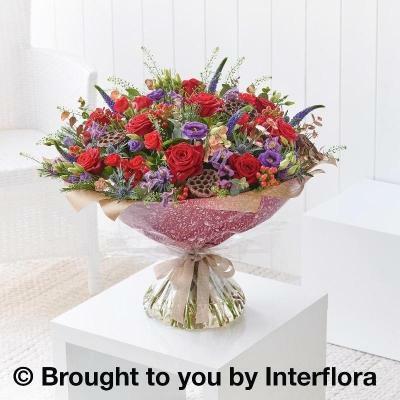 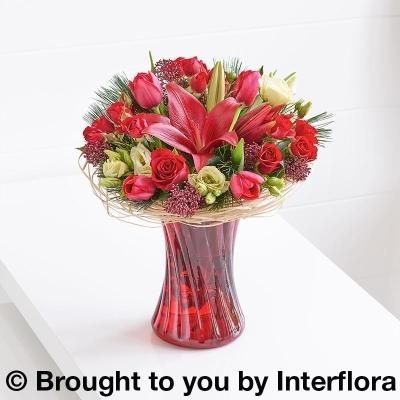 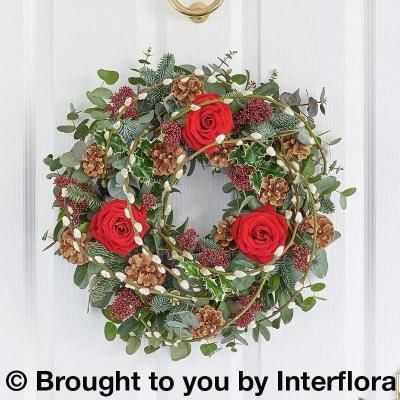 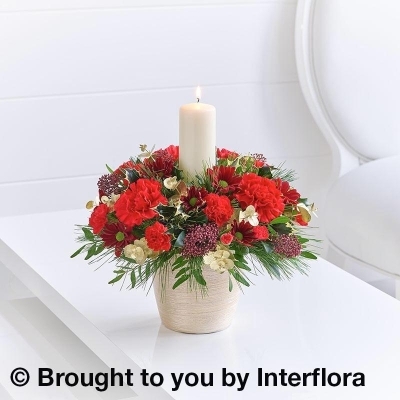 Featuring red asiatic lilies, red carnations, red spray chrysanthemums and red spray carnations hand-tied with gold eucalyptus, salal, pine and holly and finished with festive gift wrap and ribbon. 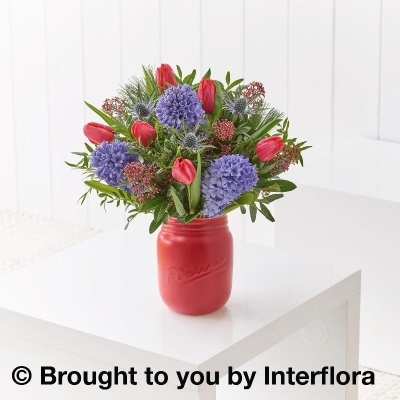 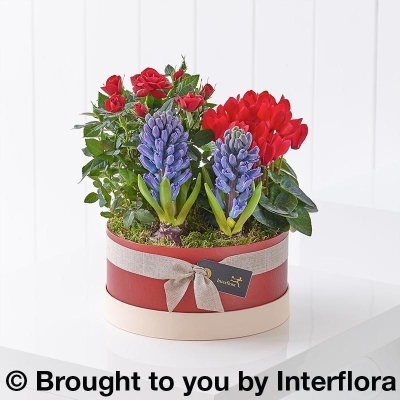 Featuring blue hyacinths, red tulips and blue eryngium with pistache, pine and burgundy skimmia, presented in a red ceramic jar. 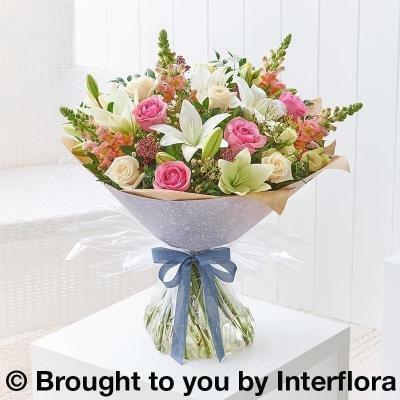 Featuring orange antirrhinums, white LA lilies, pink large headed roses, cream large headed roses, cream lisianthus and white wax flower hand-tied with burgundy skimmia, pistache and salal, finished with gift wrap and ribbon. 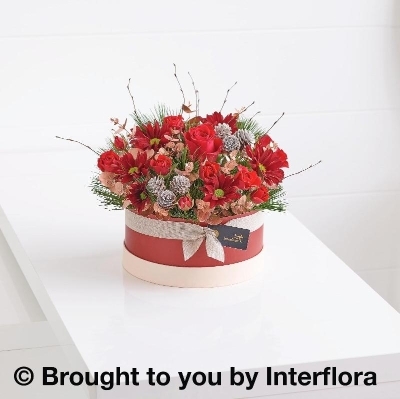 Featuring red asiatic lilies, red large headed roses and red spray roses hand-tied with salal, pine, burgundy skimmia, holly, steel grass and a cinnamon bundle and finished with festive gift wrap and ribbon. 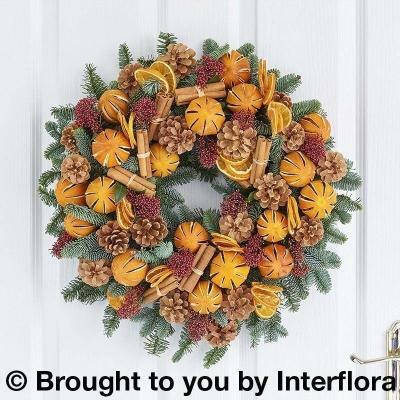 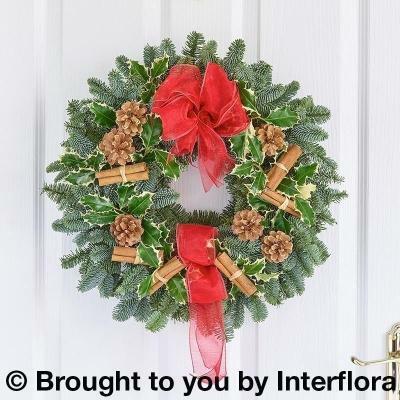 Featuring burgundy skimmia, spruce, moss, cinnamon bundles, dried orange slices, dried clementines and natural cones.